Discover new pixel art designs with an extended color palette! 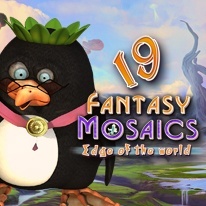 Join the penguin family as they travel to the edge of the world to extend the mosaics color palette! This thrilling adventure brings a new challenging collection of puzzles and will lead you to explore a unique place along the way. Help the alien lady penguin as she is taking the penguin family on this expedition to make new discoveries.